If your outfit is missing something stylish and classy, look no further as this is ideal for you! Introducing the White Deluxe Fedora. Wear this with a matching suit/outfit, and you are sure to become a supreme gentleman, or a classy-looking mobster. 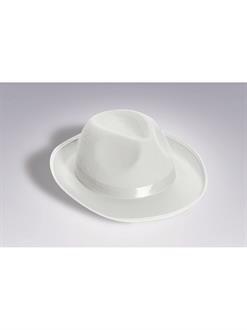 You can even wear the fedora by itself whenever you please, so the possibilities to look stylish are infinite. In a headpiece such as this, you are sure to get noticed and admired!